If you are not buying the BlackBerry Z10 because it is the BlackBerry Q10 that takes your fancy and you live in Canada, you will be pleased to learn that you can pre-order the Q10 via the Rogers Wireless reservation system page. Rogers is the first it seems that’s has the BlackBerry Q10 up for pre-order, we must stress that a few of our readers say this pre-order comes with one little predicament. It seems through the grapevine that the BlackBerry Q10 will be releasing in April so now is the best time to pre-order this stunning handset. We mentioned above that there is a slight predicament with pre-ordering the BB Q10 via Rogers, apparently only those that already have a contract can get their hands on the Q10 via Rogers. If you are a new customer you can still get your mitts on the Z10, we are not 100 percent sure about this but we are looking into it. We have searched the Internet to see what all the buzz is about, and we have found some very interesting comments about the BlackBerry Q10. One commenter mentions that they tried the Q10 on January 30th and the Fan night party, they go on to say that the Q10’s keyboard is just as good as the 9900 keyboard. To reserve your BlackBerry Q10 please Login to register here, the select account info, the select device reservation under your current device within the OVERVIEW tab, then last but not least choose your device and pick-up location. 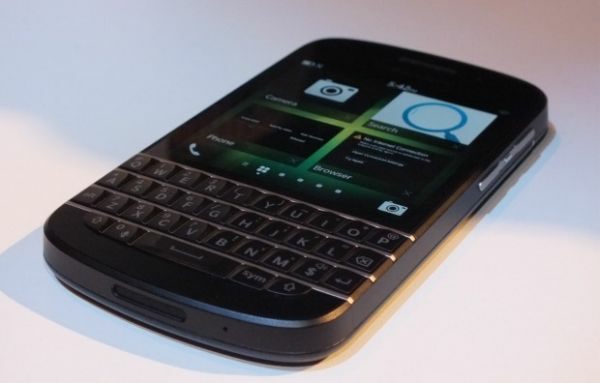 Will you be making your Rogers Wireless reservation for the BlackBerry Q10 or are you waiting to get your hands on a different phone this year?